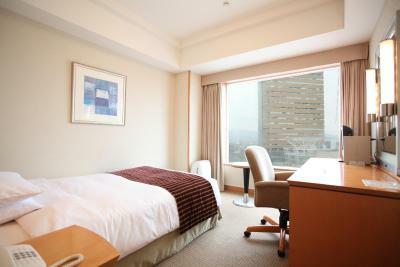 Lock in a great price for JR Hotel Clement Takamatsu – rated 8.9 by recent guests! 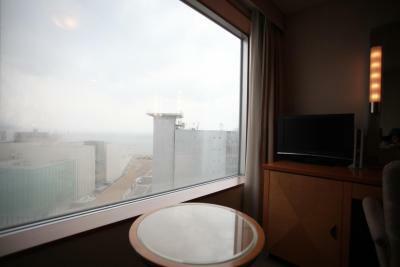 The view of harbor, city and park from our corner room was fantastic. Very comfortable bed and great linens. Good shower. The best most helpful staff. A special thanks to Jason who spent extra time and effort researching and ordering tickets for me for a Naoshima art museum. We came to Takamatsu to see the great sculpture Isamu Noguchi's Workshop and Museum. We booked the JR Hotel because of its location, what we didn't expect was how lovely it was. And how close to the station it was. Takamatsu as a destination is a sleeper. It has one of the loveliest gardens in all of Japan, the Rikyuan Garden, and it is a city that is very easy to get around by bus and train. We loved it and loved the hotel and wish we could have stayed longer but we were on our way to other destinations. Nice multi-national breakfast buffet in a lovely setting is included. And we found a cute little noodle shop right near the hotel next to the convenience store and our dinner for two was $5. 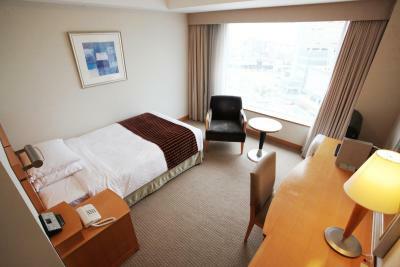 Very good location, close to JR station, shuttle bus to airport very convenient. Hotel is right in front of the ferries to the islands so is very convenient. Also close to all the shopping areas...love it! Everything we experienced at this hotel was amazing....great rooms.. I came to Takamatsu with a ferry and left via JR train- it took me minutes to get to/from the hotel. The location was perfect. Clean and big room considering. Staff helpful. Would stay again. The staff are really nice and ready to help. 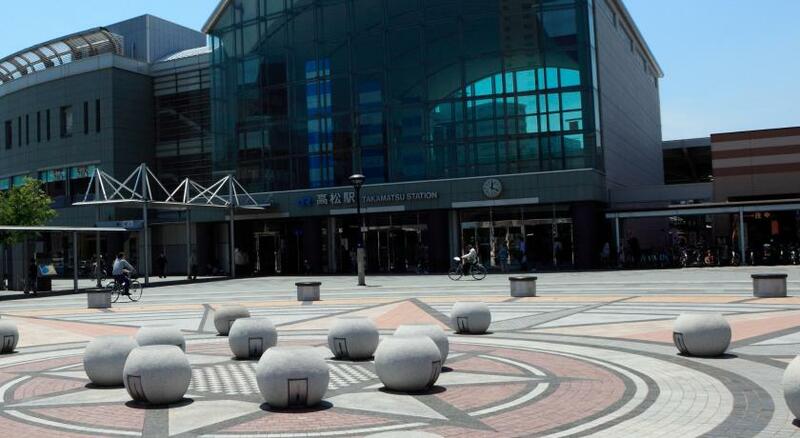 The location is just perfect, about 3 minutes’ walk to JR Takamatsu station as well as varying ferry ports. The bakery shop offers fantastically delicious bread and cakes, and everyone who stay the night in this hotel should have a try on them. 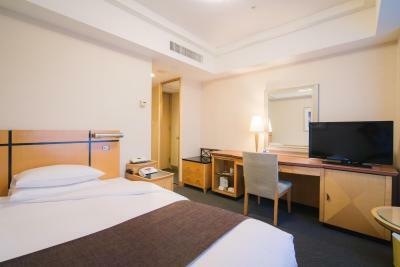 JR Hotel Clement Takamatsu This rating is a reflection of how the property compares to the industry standard when it comes to price, facilities and services available. It's based on a self-evaluation by the property. Use this rating to help choose your stay! 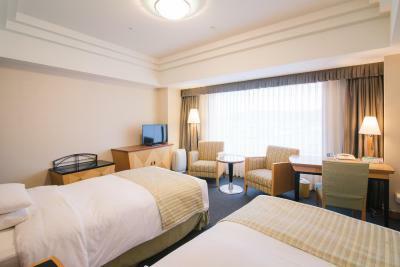 One of our top picks in Takamatsu.JR Hotel Clement Takamatsu features 7 dining options, free WiFi and rooms with panoramic sea and city views, a 1-minute stroll from JR Takamatsu Station. 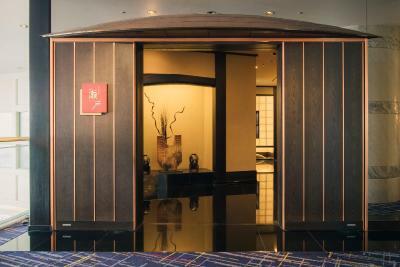 It offers massages and a hairdresser, and it features a fresh bakery. 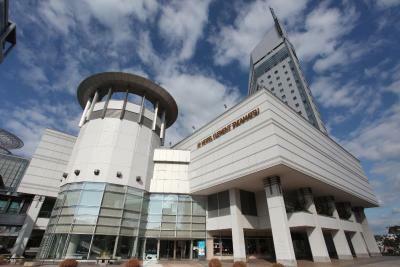 The 24-hour reception provides currency exchange. 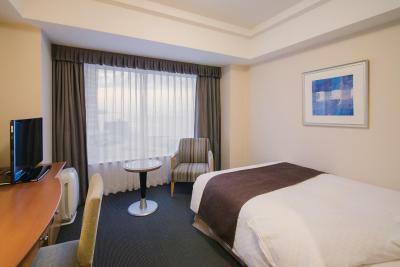 Located next to Kagawa International Conference Hall, the Clement Takamatsu JR Hotel is also in front of a ferry terminal that brings you to Shikoku or Shodoshima Island. 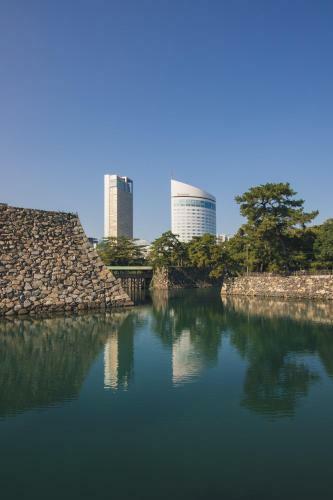 Takamatsu Castle is a 10-minute walk. 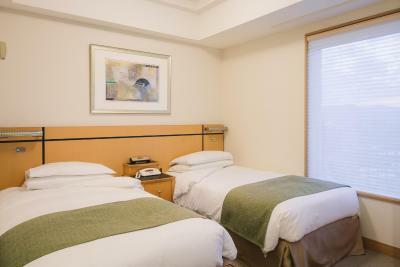 Overlooking the Seto Inland Sea (Seto Naikai), Western and Japanese rooms are all air-conditioned and soundproof, each fitted with a flat-screen TV, a fridge and an electric kettle. They have a seating area and a bathroom including a bathtub and toiletries. 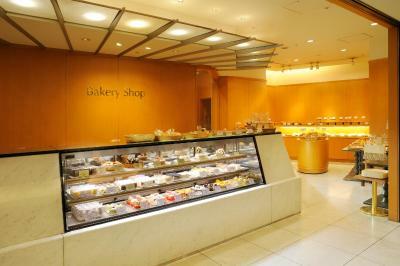 Facilities at the Takamatsu Clement include a business center, a souvenir shop and a flower shop. Dry cleaning service and luggage storage are available. 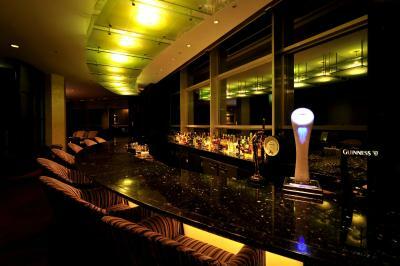 Bar Astro offers original and popular cocktails, as well as snacks, with panoramic views from the 21st floor. 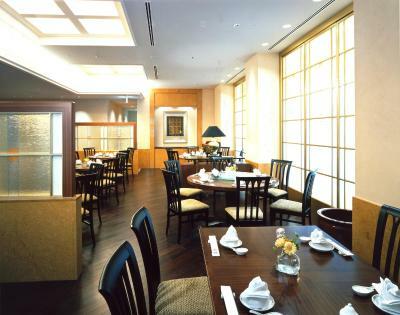 Café & Restaurant Vent offers a buffet with a variety of Western and Japanese meals, for breakfast, lunch and dinner, while other restaurants offer Western-style, Japanese or authentic Cantonese cuisine. 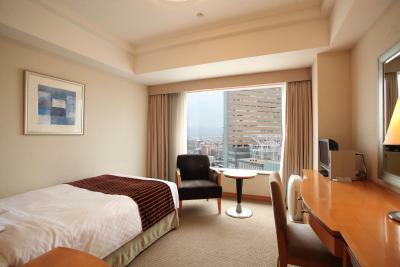 When would you like to stay at JR Hotel Clement Takamatsu? 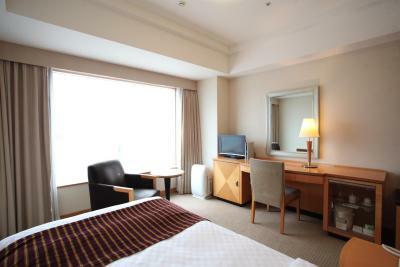 Air-conditioned and soundproof room featuring views of the city and the Seto Inland Sea. It’s fitted with a flat-screen TV, a fridge and an electric kettle. 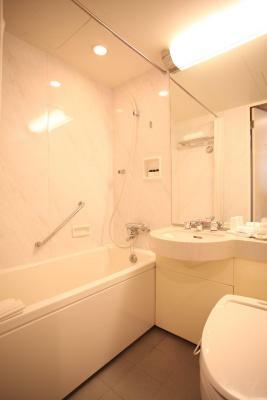 The room comes with a seating area and a bathroom including a bathtub and toiletries. 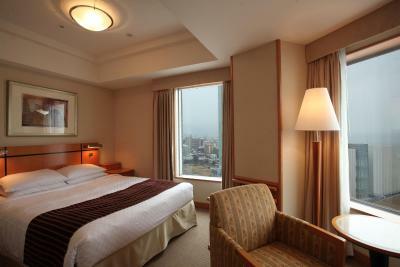 More spacious air-conditioned and soundproof room featuring views of the city and the Seto Inland Sea. It’s fitted with a flat-screen TV, a fridge and an electric kettle. 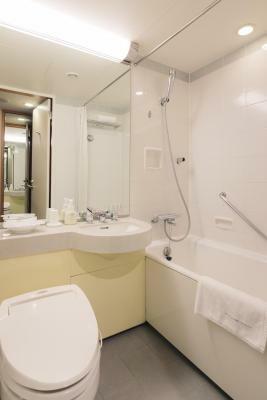 The room comes with a seating area and a bathroom including a bathtub and toiletries. 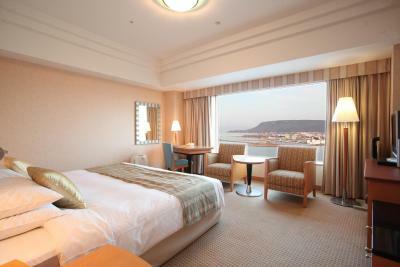 Air-conditioned and soundproof room featuring panoramic views of the city and the Seto Inland Sea. It’s fitted with a flat-screen TV, a fridge and an electric kettle. 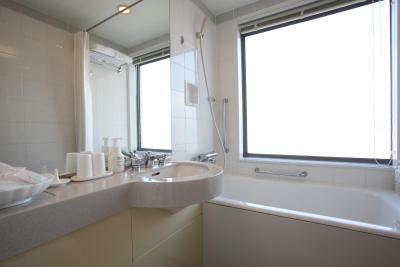 The room comes with a seating area and a bathroom including a bathtub and toiletries. 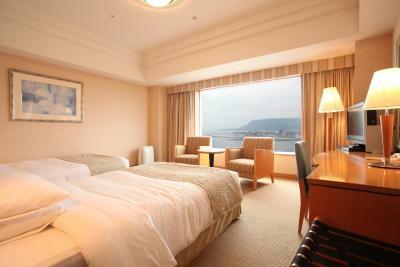 Air-conditioned and soundproof room featuring panoramic views of the city and the Seto Inland Sea. It’s fitted with a flat-screen TV, a fridge and an electric kettle. 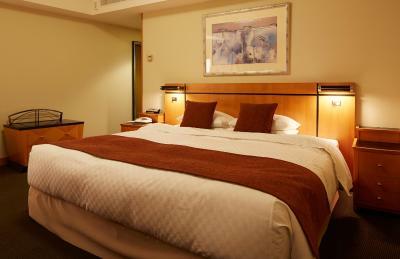 The room comes with a seating area, 2 single beds placed close together, and a bathroom including a bathtub and toiletries. 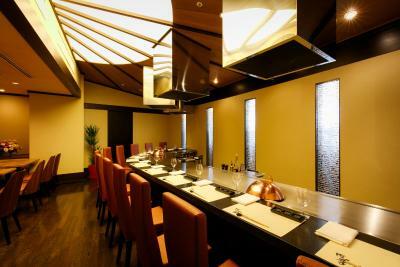 Elegant soundproof room featuring Seto Inland Sea and city views, a high ceiling and a seating area. It’s fitted with a flat-screen TV, a fridge and an electric kettle, while the bathroom offers a bathtub with views, a marble sink and a walk-in shower. 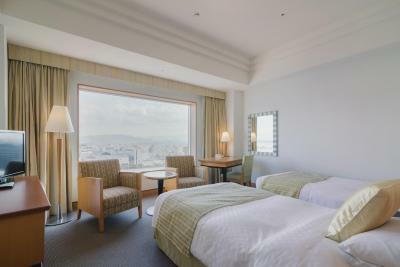 Air-conditioned, soundproof room with a high ceiling, featuring an elegant living area with white sofas and a dining area with sweeping sea and city views. It’s fitted with a flat-screen TV, a fridge and an electric kettle, while the bathroom offers a bathtub with views, a marble sink and a walk-in shower. 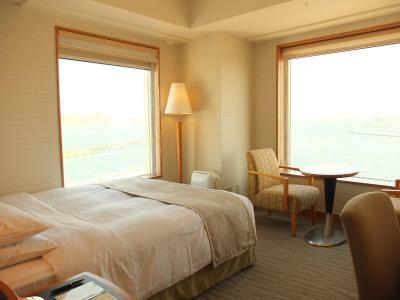 Room with sea and city views and a Japanese interior with a tatami (woven-straw) floor, low furniture and traditional futon bedding. It’s fitted with a flat-screen TV, a fridge and an electric kettle. It comes with a seating area and a bathroom including a bathtub and toiletries. 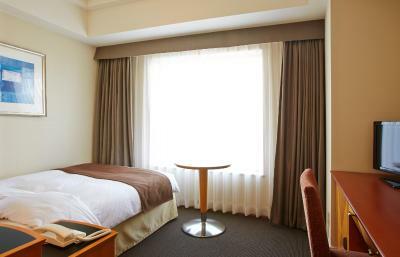 Air-conditioned and soundproof room featuring views of the city and the Seto Inland Sea. It’s fitted with a flat-screen TV, a fridge and an electric kettle. It comes with a seating area and a bathroom including a bathtub and toiletries. 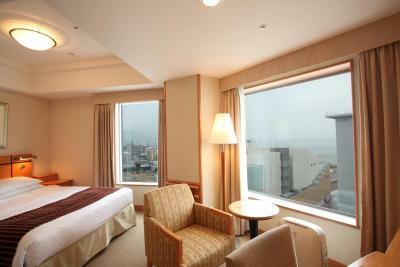 Air-conditioned and soundproof room featuring sweeping views of the city and the Seto Inland Sea. It’s fitted with a flat-screen TV, a fridge and an electric kettle. It comes with a seating area and a bathroom including a bathtub and toiletries. 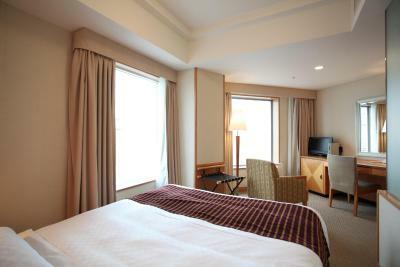 More spacious air-conditioned and soundproof room featuring views of the city and the Seto Inland Sea. It’s fitted with a flat-screen TV, a fridge and an electric kettle. It comes with a seating area and a bathroom including a bathtub and toiletries. 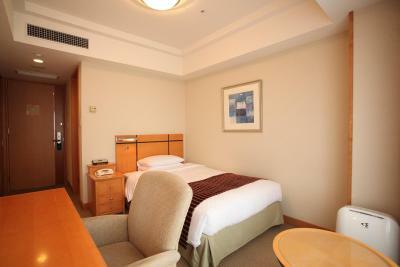 This single room features air conditioning, satellite TV and seating area. 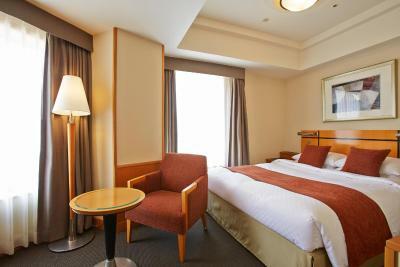 This single room has air conditioning, electric kettle and seating area. This suite features a electric kettle, air conditioning and flat-screen TV.